Today, December first, has huge significance in the Spirit realm. The last few days have been the “gentlemen, start your engines” part of the new season, as the season shifted several days ago. But now, it’s “pedal to the metal” for the plan of God, as the government has changed. This morning, we saw the unusual occurrence that American President George H.W. Bush passed away. He was President #41, and he was 94 years old. The Lord told me that this is a sign and wonder demonstrating His will, both out of Psalm 41 and Psalm 94. Psalm 41 describes the suffering you have endured for years now. The discouragement of yet-to-be-answered prayer. The joy you are about to experience in this new season is described in Psalm 94. Blessed is the man whom You instruct, O Lord, and teach out of Your law, that You may give him rest from the days of adversity, until the pit is dug for the wicked. For the Lord will not cast off His people, nor will He forsake His inheritance. But judgment will return to righteousness, and all the upright in heart will follow it” (Psalm 94:12-15). Many of God’s people have simply been rolling over and letting the enemy run over them for years. However, now Holy Spirit has woken up those who will listen. He is instructing you and teaching you, so that He can give you rest from the days of adversity. The Lord sees the wicked and knows their fate. He will take care of the wicked; YOU focus on HIM. The Lord will not cast you off or forsake you. Governance has returned to the righteous, to all who will listen. This governance is found in the prayer closet, where every righteous person can dominate over wickedness and obliterate all the traps of the enemy. If you are upright in heart, you will follow the Lord’s leading and you will now govern in the spirit realm. It’s not that you couldn’t always govern. You could govern before, if you had chosen to. We all could. But the enemy steamrolled people into weary, discouraged submission, and we did not rise up to combat him. All those who will listen at this time are awake. You are awake and I am awake. The listening, praying church is awake, and the government has changed. The Lord is having the prophets call us to contending prayer for a reason. God is doing a new thing in your heart. The government over your life has shifted back where it belongs. No longer will you allow the enemy to terrorize you. No longer will you be a victim. Instead, you are rising up to walk in the authority with which the saving blood of Jesus Christ has clothed you. 2019 will see the dominance of the ekklesia–the dominating, legislating-in-the-spirit people of God-–and it starts in December. You will see fruit of your contending prayer immediately, for Father God has been like a stallion pawing at a gate in eagerness. He has been waiting on you to agree with Him in prayer, and now you are fully awake. Don’t be afraid to legislate big things from your prayer closet in December–and throughout 2019. Pick through your life with a fine-tooth comb. Identify all things that do not match what God has promised. Take those things and converge on Father God in prayer, in agreement with Holy Spirit, contending for His Kingdom to come and His will to be done. If something in your life doesn’t look like Heaven yet, that’s an area that needs prayer. Dominate over those areas and enforce Father’s will by your imploring, contending, legislative prayer. You will now receive rest from the days of adversity. This is not to say it will be easy, but your work will be done in the prayer closet. And no matter what swirls around you on the outside, you will rest and experience breakthrough as Father God rends heaven and earth with His answers to your prayers. Does this word confirm what the Lord is also saying to you? If so, leave a comment below! I’d love to hear what Father is saying to you! Wow! Soo needed to hear this !!! Thank you!!!! Big love …. It is time for the enemy to stand down, God is in control. Yes and Amen ! ?? Jamie, this is blowing my mind. Im asking, is this real? Its like ive been swept up in the spirit and carried into His presence. He is my one true love. Thank you. On Time Word. I was cleaning out Drive today bcuz my Google got full and was able to read your email. Two file i reviewed were from almost 7 years ago of a plan I started the DATE before my world got shook. One on Dominating/Domionaire and Eccl 9:7. Some plans have been so far off course but I have done my best to be a faithful servant. I understand Karen “I even have a fatherless child!” She is a blessing though and has been trying to get me on some of those 7 year old plans in her 5-year old God sent innocent way. Greetings in Jesus wonderful name. I feel in my Spirit something is about to be released. However I know in this season it’s time for God to restore and release all his promises. Thank you so much sister Jamie..God is been speaking the same to me and our family for december..2018. Thanks for the community to help nd pray for one another needs..1)please pray for my hubby,every award and reward due in his workplace for him must be released this month dec 2018..2)Divine connections for our business venture as God already shown to us in August 2018 all across the globe..accurating discerning and wisdom upon both of us to move forward..We get connected to the right country which God has for us to accomplish His purpose. This word speaks for exactly what God is doing in my life right now. I’m very much grateful for the father’s love and thank you Jamie for delivering His word! 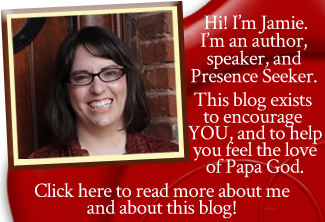 Jamie, thank you and God bless you for your heavenly blog! It has changed me inside out and I will always hold a place in my heart for you, your earthly family, our heavenly family and for everyone reading this blessed blog!! Amen! I always seek God early in December to see what my word for the year is and I fill out a form answering questions and just seeing what goals need to be accomplished and what God has for me for the year ahead. I finally sat down to do this yesterday and as I said out loud “word for the year…” my 12yo daughter shouted out “Freedom!” I have never received such a quick answer and I quickly thought no… but then I pondered on it for a while and thought ‘freedom’ sounds right! Freedom from all the things that have been holding us back in 2018 starting now! As I read this word for December I keep hearing the victorious shout of FREEDOM starting this month and throughout 2019! Confirmation! Amen and Amen . Hi Jamie what ever you said is right to the point. The change of government is not only on our lives , it has literally manifested in my country and this instruction is also for all the prayer warriors involved to continue praying and contending until all promises are fulfilled. God Bless you and your family.